A Blue Satin fabric floor length Gown is adorned with embroidery patch on it. 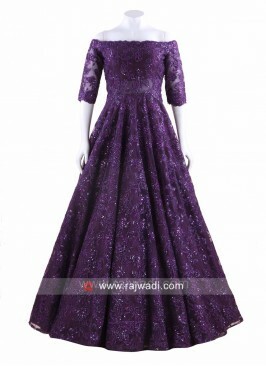 It features designer neck and stylish pleated cap sleeves. Linen Silk Trail Cut Kurt.. 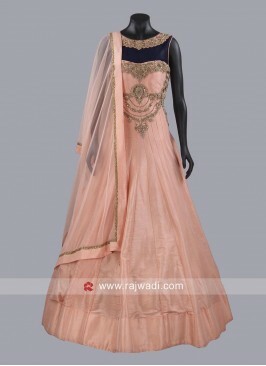 Dark Peach Designer Gown ..